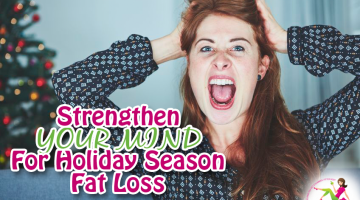 Following a holiday season of overindulging and not always making healthy food choices, you don’t always need a resolution as a reason to get back on track. That’s where meal planning can help. Planning what you eat can feel overwhelming, but when broken down to into small, manageable steps, meal planning can be both a time saver and great way to restore (or start!) healthy eating habits. To guide the way, we paired up with personal chef and meal planning expert Mandy Cullen of Nourishment in Madison, Wisconsin, for her meal planning expertise. 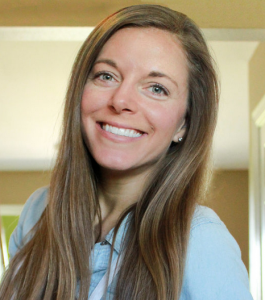 Mandy Cullen, Personal Chef of Nourishment, makes meal planning easy. SlendHer (SH): What is meal planning? Mandy Cullen (MC): Meal planning is simply the plan you make before your grocery shop; it’s a way of organizing yourself in a way that makes meal time more manageable. SH: What are some benefits to meal planning? MC: One, meal planning saves you money by reducing food waste. Instead of just stocking up your pantry to have things on hand, you only buy something if you know what you’re going to do with it or which recipe calls for it. Two, meal planning, saves you time. By doing a small bit of prep work in advance, you can save hours during the week. 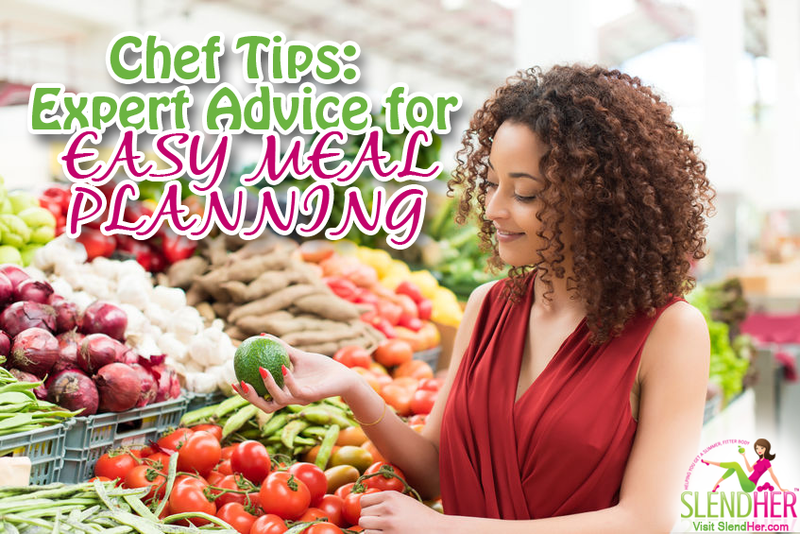 And last, meal planning helps you to eat healthier. 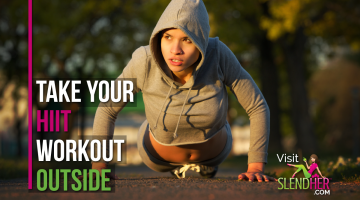 When you have a plan, the decision is already made for you, so there’s no need to resort to fast food and quick processed packaged convenience meals. Plus, you have the option to control portions when meal planning. SH: Does meal planning mean eating the same thing all week long? MC: Not at all–unless that’s what you prefer. I encourage each person to figure out their “why.” If it’s not saving money, time, or eating healthier, maybe it’s about reducing decision fatigue. After all, we make decisions all day long. Or maybe meal planning is a way to make mealtimes easier and more efficient when you’re trying to balance busy family schedules, homework, and bath time for the kiddos. Or maybe meal planning can lead to recipe inspiration to get you excited about cooking. Whatever it is is, recognize your why, make it a priority, and let it impact your decisions moving forward. SH: Meal planning seems complicated. What is your approach to simplify it? MC: I like to think about it as three simple steps: plan, shop, prep. Granted, there are steps within those steps, but that’s the big picture. SH: OK, so let’s break down the steps within the steps. Let’s start with planning. What’s involved? MC: The first step sparks the initial excitement to meal plan–getting inspired! 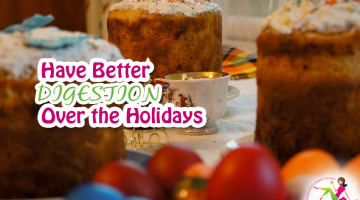 Allow yourself time to page through recipe books and scroll through social media to find recipes based on your “why.” Save those recipes in one place–a Google doc, a Pinterest board, an app, or even a recipe card. SH: Recipes, check. What’s next? Get inspired with new recipes and cuisines. MC: Now it’s time to organize your week. 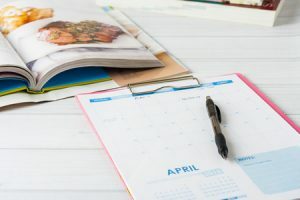 Consider your calendar and determine how many recipes you’ll need for your menu plan. Also look at what you have in the house that can inspire meals while also decrease the number of ingredients you need to purchase. Once you know what recipes you’ll be making, write out your finalized menu plan. Check the fridge and pantry against the ingredients you need while making a master grocery list. SH: Now it’s time to shop, right? MC: You got it. Pick a day of the week and schedule it like you’d schedule a workout or date night. Even write it on your calendar to help make it a priority. SH: The last step is meal prep. What does that involve? MC: Prepping food involves washing, slicing, dicing, chopping, mincing, braising, roasting, and so on. It’s literally preparing the food for your recipes, a lot of which can be done in advance. However, to keep foods fresh and safe, you may want to cook two days per week since prepared foods don’t usually keep more than three to four days, unless you freeze it. 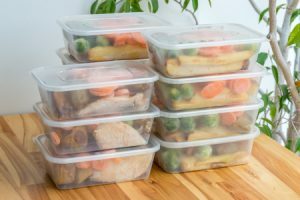 Prepping food can save you a lot of time, be it throwing the ingredients into a crock pot in the morning or having pre-portioned cooked meals ready to heat and eat. Meal planning saves times and is a great way to approach portion control. SH: Wow, meal planning really is a game changer. Do you have any other tips to share? MC: Remember that burnout is real. You don’t have to plan and prep all your meals all at once. For the first few weeks, maybe start with lunches or dinner for the week so that you can get a feel for your process. Or cook several recipes you are familiar with and add one new recipe per week. A special thanks to Mandy Cullen for her helpful tips. Now we want to hear from you! Share with us your favorite go-to recipes or kitchen tips to make meal planning even more fun.